The decision to spend a holiday in Hawaii can be one of those life-changing moments, and this experience can be highly valuable, and it can make you realize how beautiful your life can actually be. Since this picturesque group of islands is offering so much to see, visitors can spend weeks exploring the full gamut of sightseeing options and attractive destinations. Unfortunately, the vast majority of tourists can only stay here for a few days or a week, and they have to cram all of the things they want to visit in an exciting but short itinerary. But, what is important is that you enjoy yourself, and it is guaranteed that magical islands in the middle of Pacific can provide any visitor with interesting and captivating content. Your preparation for the trip to Hawaii will start way earlier than you set foot on those sandy beaches, and the first thing you need to do is to look for a good travel agency and arrange a vacation. 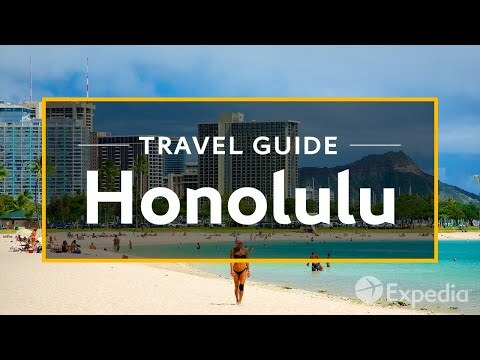 They will probably offer you various packages, and that is why it is always a good idea to do a little bit of homework and learn a thing or two about Hawaii and the offer at each of the islands. Also, you should know how much time will you spend in one location, and a good strategy will allow you to make the most out of your trip. Similarly, people who want to travel to this dazzling state should consider the timing of their visit, and even though Hawaii offers eleven different climates – make sure that you are coming at the perfect time. We are not your parents so we do not want to tell you what you should do and what you shouldn’t do, but there are certain unofficial rules of conduct that every tourist should familiarize himself with before arriving in Hawaii. For instance, it is advisable to learn a few Hawaiian words, such as “aloha” or “mahalo,” and this is a sign of good manners and friendliness. In the same fashion, you should always accept “lei,” the lovely and colorful ring of flowers that natives will put around your neck. Removing shoes when you are entering someone’s house is also a must, and you will have to get used to the fact that time in the islands just runs “a bit slow” and that everyone is laid back and relaxed. Hawaii offers an abundance of sightseeing options, and your personal tastes and preferences will affect the final decision on what exactly will you visit. White or black sand beaches, breathtaking views, spectacular waterfalls, active volcanoes, authentic restaurants – you name it, and Hawaii will deliver. Water-based activities, such as snorkeling, scuba diving, surfing or even swimming with manta rays are also a must, but hiking and horseback riding are also a fun way to spend your time in this pristine tropical paradise. In case you are looking for an exciting and attractive location for your next travel, look no further than the picturesque group of islands in the middle of the Pacific. Yes, Hawaii is still one of the most visited tourist destinations in the world, and this is no coincidence. Due to its impressive array of options and attractions, this country is a favorite spot for all sorts of visitors, and the sheer diversity of climate and natural wonders will satisfy even the most demanding of tourists. However, a lot of people are unaware of everything that Hawaii can offer, and sometimes these people miss out on the charm and beauty of this green paradise. Here is a short list of places that you simply have to incorporate in your itinerary, but tourists are more than welcome to sometimes venture off-the-beaten-path, and to explore the islands on their own. Deep valley gorges and panoramic views are the trademarks of this location, and Waimea Canyon is a sight to behold. It boasts with a nickname “The Grand Canyon of the Pacific,” and this “title” perfectly describes the beauty of this natural and geological wonder. Waimea Canyon is located in the southwest region of Kauai, and it is 14 miles long and around 3.000 feet deep in some spots. Its raw beauty and scenic locations will make you appreciate the power of nature, and this is one destination that you should never forget to visit during your Hawaii vacation. Volcanoes have always captivated the human mind, and these frightening natural wonders are mesmerizing and beautiful at the same time. Kilauea is one example of an active volcano which allows visitors to hike near the lava, and this experience is unforgettable and highly exciting for anyone who comes to Hawaii. The dazzling colors of lava and volcanic rocks will enchant you on your walks through amazing scenery, and Halemaumau Crater is also a spot that attracts a lot of tourists. Heiau is the old Hawaiian word for temple, and Puukohola is one of the largest and the last of these places in Hawaii. It is located on the Kohala Coast, and it presents a sacred place of worship. This majestic stone fortress is a place you should visit on your trip to Hawaii, and a lot of cultural and historical tales are surrounding this particular heiau. Luckily, it is preserved and restored to perfection, and modern-day visitors have the opportunity to learn more about the folklore and traditions of the local people. A trip to Hawaii is never a bad idea, and if you pick the right destinations and plan ahead – your vacation will certainly turn into a memorable and highly enjoyable activity. Besides these three top destinations, Hawaii can offer a lot more, and with just a bit of research – tourists can find a plethora of options which will suit their personal tastes and preferences.